Vermont Single wide Home | Castle Homes Sales, Inc. 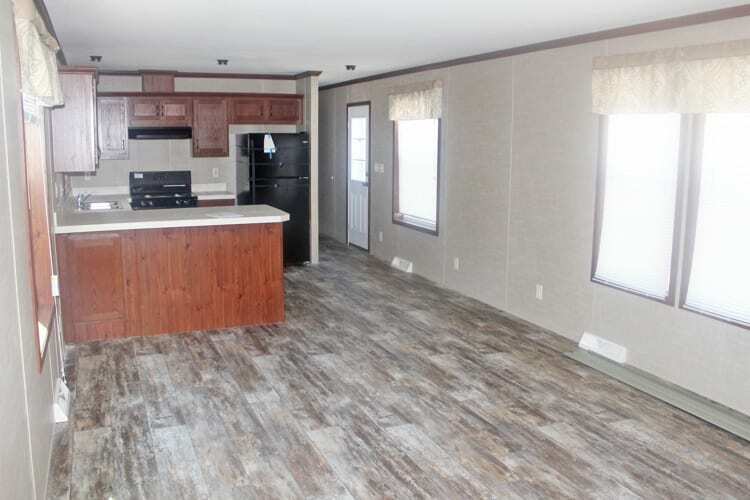 Spacious living room and kitchen cabinets includes a snack bar. Master bath walk in shower.